Do you enjoy studying predestination? This book is one of the best introductions on the subject. The chapter on Calvinism in History is worth its price. There are not enough good things to say about this book. It is long (a whopping 440 pages) but it is worth every sentence and every chapter. The price of the book alone is worth his concluding chapter on the effects of Calvinism through history. He proves how every major revival which has taken place and has been recorded for us was Calvinistic in nature. 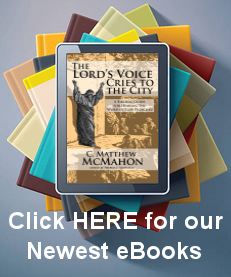 Is it interesting to note that no revival has ever spurred up within the ranks of Catholicism? Or Buddhism? Etc. His writing style is not hard to understand, and he documents his study thoroughly as needed. Any reader will be able to glean gems from this book, whether this be a first read or a reread – which should be done at least a couple of times to receive the full implications of his writing. His chapters are divided into sections. The first section covers some basic concepts of God, foreknowledge, etc. Section 2 covers the 5 points respectively. Section 3 covers objections commonly urged against the Reformed doctrine of predestination. Section 4 covers some miscellaneous ideas concerning assurance and election. Section 5 covers the practical application of the doctrine, and section 6 is that wonderful chapter about Calvinism in history. I heartily recommend it as a great introduction to the doctrines of grace.